Judge Kavanaugh is holding his own. In terms of I.Q. and intellectual ability, he is several grades above any Democrat on the committee! 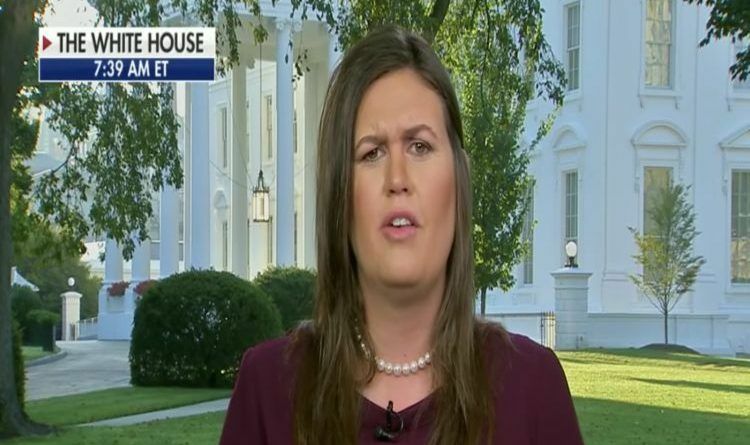 During a Wednesday appearance on “Fox & Friends,” Sarah Sanders reacted to Democrats demanding Brett Kavanaugh release all documents relating to the Supreme Court nominee’s time in the Bush White House, saying the pushback was happening before Democrats even knew who he was. “Democrats opposed Kavanaugh before they even knew who he was. This isn’t about documents. It’s about ridiculous political ploys that the Democrats are trying to play,” Sanders said. Sanders added that the White House has turned over hundreds of thousands of pages of documents. They would not be able to survive the scrutiny that Kavanaugh has had to endure. They love to dish it out but can’t take it themselves. All the top-level Democrats prove the point about term limits. They are exactly the reason we should have term limits. All of the Democrats have not done one thing to improve this country. Everything they have done is to destroy this country. They do not love this country. They hate it and it shows how they treat American Citizens and the Law, and especially the Constitution.